My mother grew up in the area of Cincinnati called O’Bryonville. It was where the Irish lived. O”Bryonville was within walking distance of the stately mansions on Grandin Road and that was where some of the finest families of Cincinnati lived. Is was convenient for the Irish to live so close, because most were servants in the mansions up the street. My mother, her grandmother and two aunts lived in a small, neat, clapboard house on Cinnamon Street. Down the hillside at the back of their house ran a little brook…beside the brook grew watercress. My great-aunt in front of their house. My mother told me that as a young girl she would run down to the brook with a basket and gather fresh watercress. 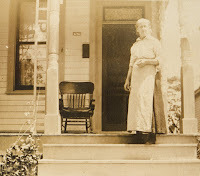 She would then take it home and the family would enjoy sandwiches with creamy unsalted butter and freshly made bread. They would also make beautiful, simple salads and soups. 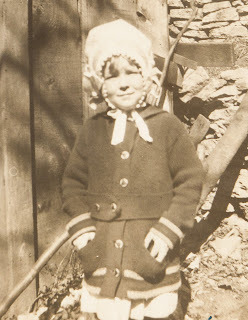 My mother (the caption for this snapshot was “our Irish rose”). 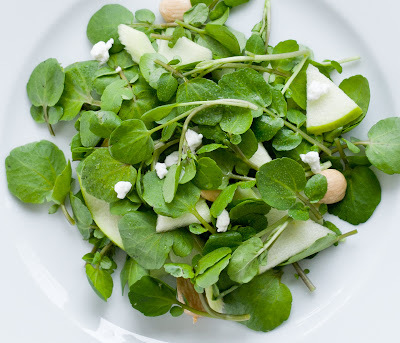 I have always loved the bitter, yet fresh taste of watercress. It lends itself to so many variations. This is one of our favorites for Sunday supper. 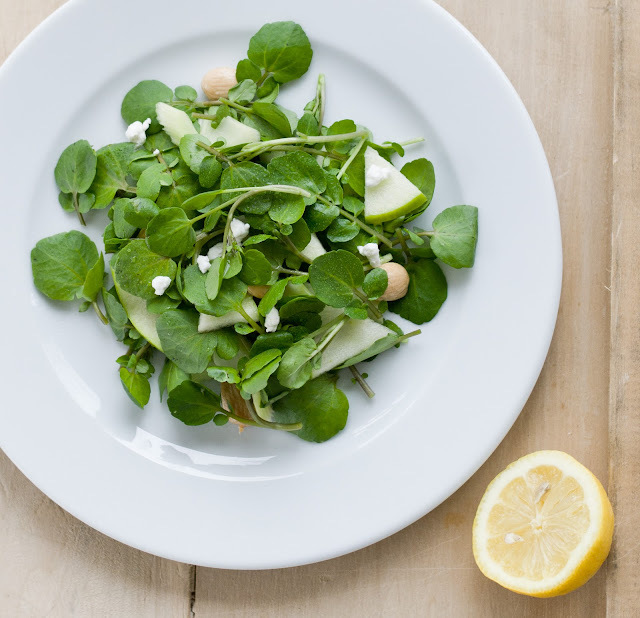 Toss watercress, apple, celery and almonds together in bowl. Keep in the refrigerator till ready to serve. Whisk together olive oil, lemon juice, honey, salt and pepper in small bowl. 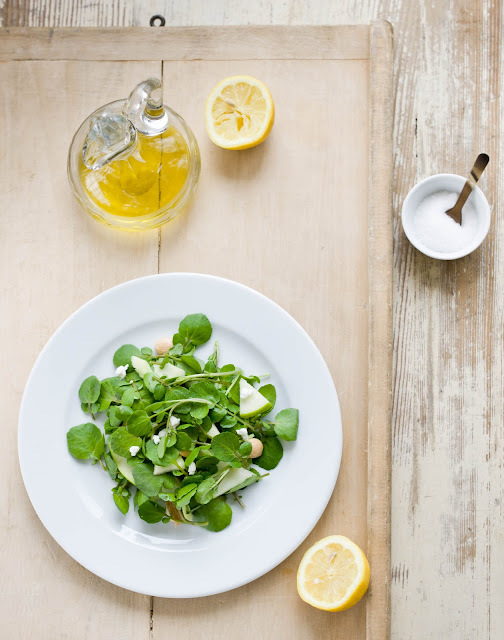 Dress the salad with lemon vinaigrette, sprinkle crumbled goat cheese on top and serve immediately.